Yay for Friday! I had just a smidgen of sewing time this week….I love having my kids home for the summer but I always feel guilty when I sneak in to sew. 3 more weeks until school starts and hopefully I’ll have some sanity time! I have a few random things to share like that beautiful fat quarter bundle up there chosen by Amy for the I Want Her Stash club. I ordered this fabric a few weeks ago and I love, love, love it. It’s Picnic by Melody Miller for Cotton and Steel. At least some of it is, the sprinkles are a basic I think. And….it’s already a quilt top I sent off to the quilter last week. I know I’m like the boy who cried wolf but I really really love this quilt. Like SO much. It’s a similar version of Wallflowers with different sizing and some block changes. I’ve had this version on my mind since I released the first one. This pattern will be available in the next couple of weeks. 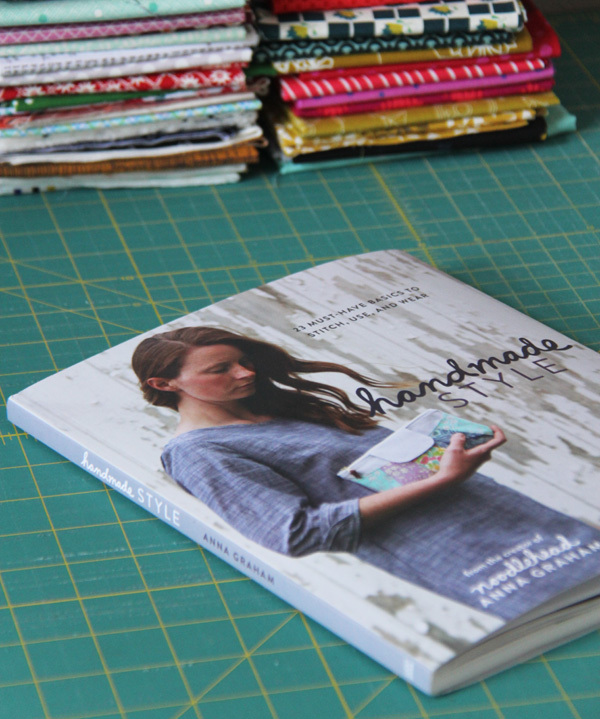 I’m a little late to the party but I had to gush a bit about Anna’s beautiful book Handmade Style. 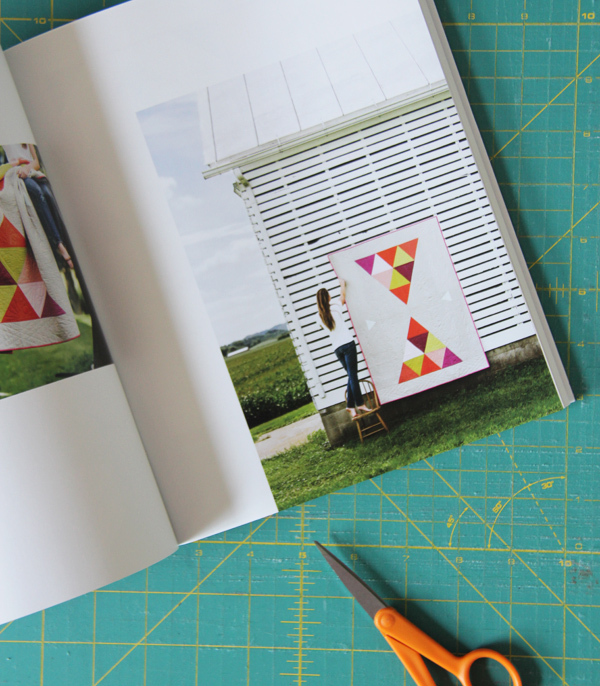 Besides the fact that the pictures and instructions are gorgeous, it’s also chocked full of projects I would love to make…and make over and over. Love it Anna!! Its a stunner! Love it Allison..Love your posts your inspirational to me. I have one of the colors of the apples but now seeing your quilt, I need all of it! I do like this pattern better then the original Wallflowers, in fact Wallflowers is on my sewing machine. I have it almost quilted!! I like quilts with a little less white background and this new pattern looks great!! Lindiiiissim!!! Petons des de Catalunya!!! 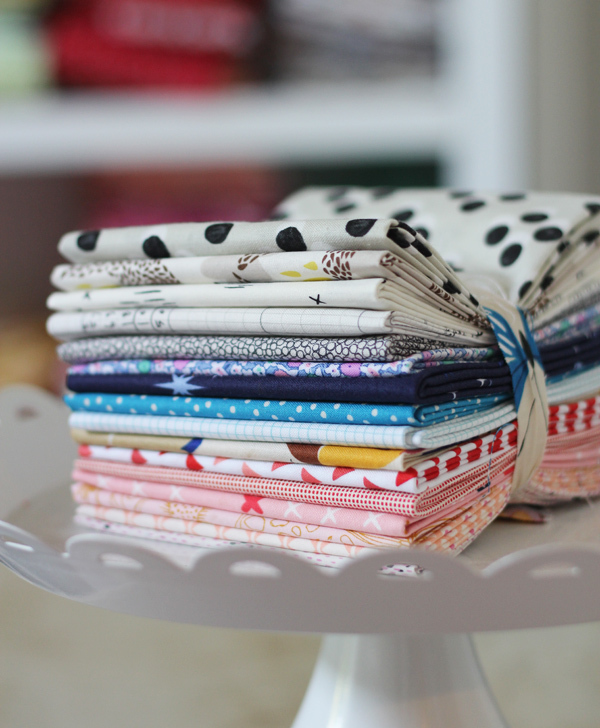 I love the fabrics in the I want her stash bundle! Do you know what they are? Allison, how did you get that whole gorgeous quilt top finished while the kids were still home? I’m SO impressed! I’m lucky I managed to stay on top of the grocery shopping and laundry over summer vacation — every stitch sewn was a small miracle! Can’t wait to see that one quilted. Oh man Rebecca me too…if you could see the state of my house while I was making said quilt you would feel SO much better. ;) It’s so hard to find time to sew with the kids home….there have been a few late nights! Allison .. these colours are GORGEOUS! When we can manage our next trip to Seattle to see the littlies before they all get BIG (it happens so fast!) I’ll be stocking up while we’re over there! The kids are 7, nearly 5 and nearly 1 respectively. The eldest got her Nannie’s Quilt delivered 2 days after she was born, cos I’d booked to be there. But the 2 boys still haven’t seen their quilts – which have never got past the “vision” stage!! That’s what happens when Nannie continues to work full-time! But time for that big change is rapidly approaching. Not sure if I ever told you what my life’s goals are? To stay home for long enough to make quilts for our (6) grandchildren, and then go and deliver them. As we live in Australia’s Gold Coast and our 6 are 3 in Seattle and 3 girls in Adelaide Hills, that will be our “retirement” taken care of!! And, as always, YOUR amazingly fresh, bright, clear colours and designs are inspirational and encouraging, to say the least! Oh that sounds like an awesome life goal to me Margot!!! I hope you get over our way soon….we had a beautiful warm summer…and we have a great new quilt shop on my side of the water (Poulsbo) you need to come see when you visit!! Your quilt looks fabulous! 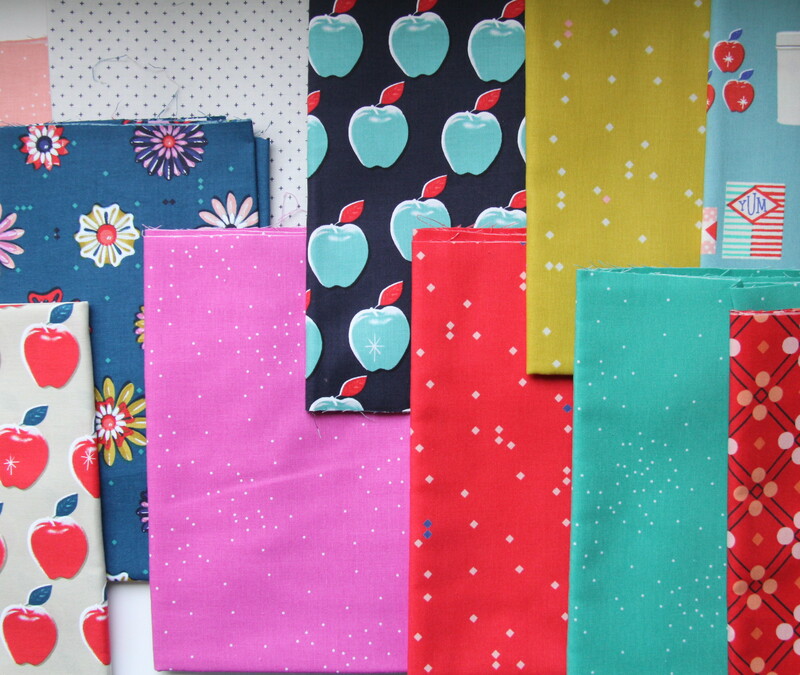 Love all the colours and fabrics, especially the Apple ones, particularly the Aqua variation. As always love both of your quilts/fabrics this week! You get a lot done with kids around and your oldest is heading towards a business degree!! Yes, it would be great to live in two or three places, wouldn’t it? Enjoy the rest of your summer! I am so totally agreeing with you, I love, love, love that quilt!!!!! Fabulous!!! 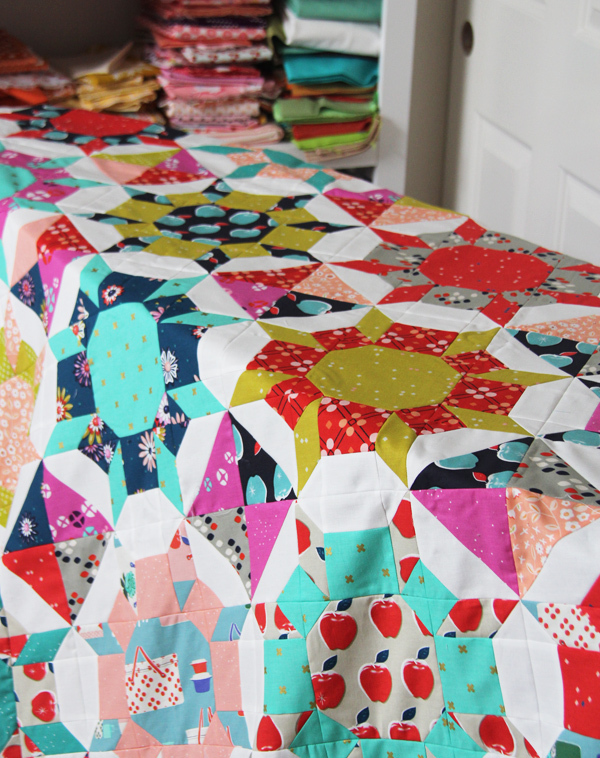 Funny, I was thinking “that stack seems a bit random, I don’t know if I like it?” And then I scrolled down and saw your quilt and thought “LOVE IT! !” Great job. Lol Katie it is a bit random until they are all thrown together! I think that ALL the time! Thank you! Well, I can see why you love that quilt! It’s really excellent! I love it too. Fun.